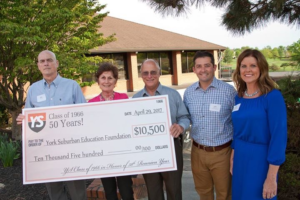 The York Suburban Education Foundation is an independent, nonprofit organization providing funding for innovative programs that enhance the educational experience and foster continued academic excellence for district students. Filling the buckets in the decades race to support YSEF Grant Programs during the Alumni Homecoming event at Holy Hound. 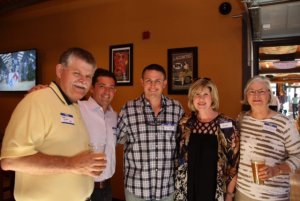 Thank you to all who attended the YSEF Alumni Homecoming Event on Saturday, September 24 at the Holy Hound. 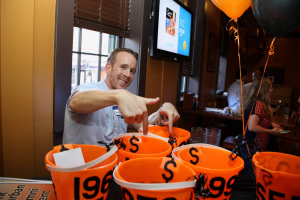 There was a contest between the decades to raise the most donations for our grants programs. Out of the 45 alumni in attendance, almost $900 was raised in one afternoon, with the graduates of the 1980’s donating the most. Hats off to all of you! The York Suburban Class of 1965 celebrated its 50th reunion in 2015. 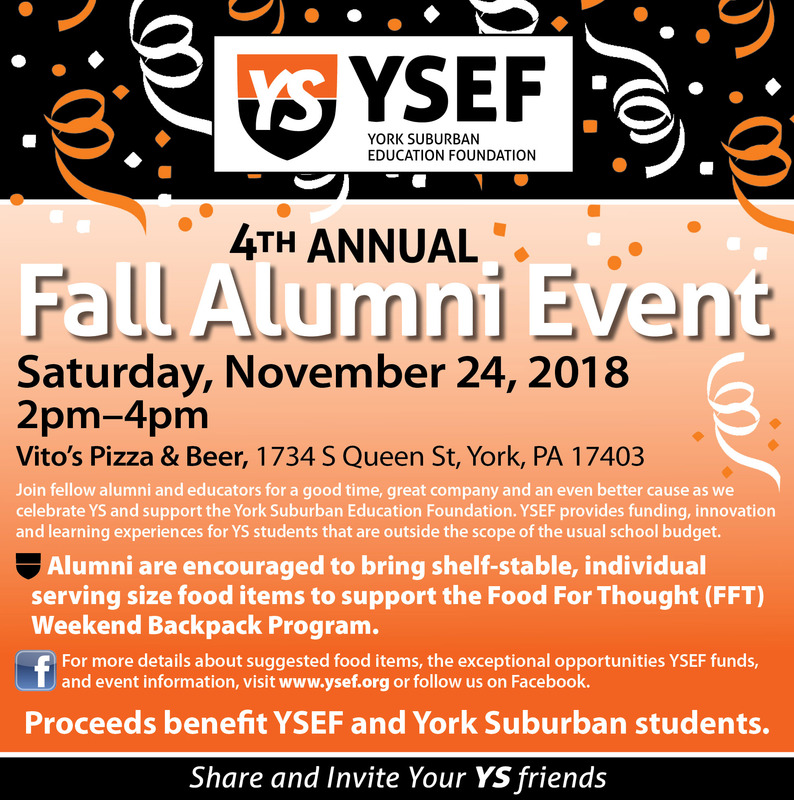 Â In honor of this occasion, class members donated $10,000 to YSEF so we may continue the tradition of excellence in education at York Suburban. Classmates Connie Shorb, Joel Snyder and Dan Mazzolla presented this gift at the annual YSEF Celebration of Excellence event held in April of 2016. 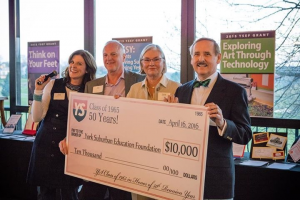 The class of 1965 challenges all YS graduating classes to join them in the pursuit of educational excellence and to consider a reunion year contribution to YSEF. Thank you YS Class of 1965!